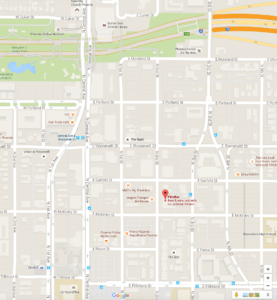 FilmBar Phoenix is located at 815 N 2nd St, Phoenix, AZ 85004. Tickets go on sale June 1st. Donations and a silent auction will benefit the Arizona School for the Arts. August 21 3:00pm all ages showing. After a long wait, including an exciting stop at Phoenix Film Festival, Phoenix-based filmmaker Matty Steinkamp’s feature film Play The Documentary will premiere at FilmBar Phoenix with two screenings. 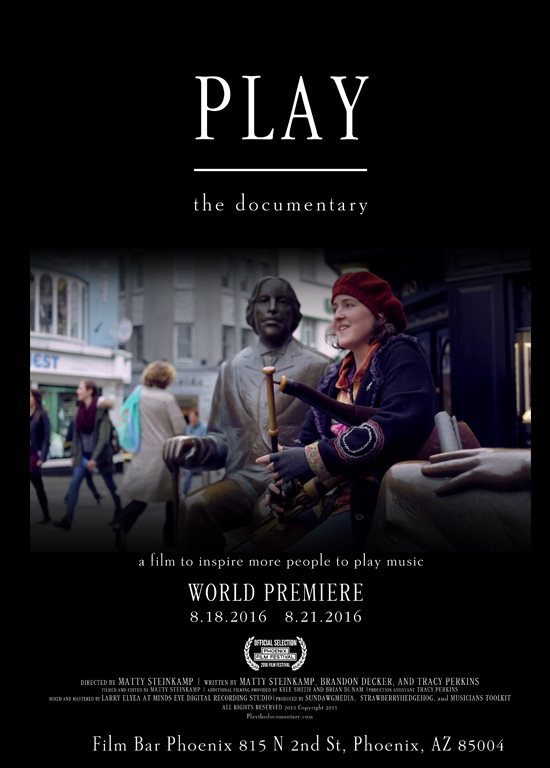 Play The Documentary is a film created in hopes of inspiring more people to play music. The documentary was shot in locations all over the US, in addition to captivating footage from Ireland, over the course of two years and features over 40 musicians each playing their particular instrument and discussing their perception of the personal impact of playing music. The film also touches on US budget cuts to music education in recent years and what is being done to combat the cuts. In particular, the film delves into the work of game-changing national nonprofit Little Kids Rock program. On the heels of creating a buzz at Phoenix Film Festival, Phoenix Magazine called the documentary, “a powerful testament to the crucial need for music at every level,” and “a gorgeously shot film.” The film still awaits word on submissions to both Portland and San Diego Film Festivals. Steinkamp eagerly anticipates more openings for the film this summer in select theaters in New York, Los Angeles, Salt Lake City, and St. Paul. All openings will directly raise money for local music non-profits in the host cities through partnerships with organizations such as Little Kids Rock, Arizona School of the Arts, Vega Productions, Musician’s Choice and more. The film premiers at FilmBar Thursday, August 18 at 8pm and Sunday, August 21 at 3pm. The screenings will help raise funds for Arizona School of the Arts and there will be a silent auction with proceeds directly benefiting Phoenix-based music and arts programs. Tickets for the screenings are $12 and go on sale June 1. We are very thankful for all of our Kickstarter backers, our Producers, and our new distribution partner. There are more dates coming soon in cities all across the US, subscribe to our social pages to keep updated on showings in your area.